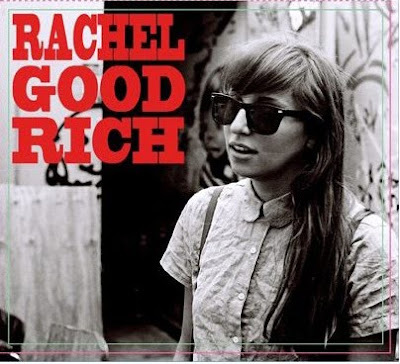 At a time when quirky singer-songwriters are as common as snowflakes in a blizzard, Rachel Goodrich still stands out. There are moments on this self-titled follow-up to her 2008 debut Tinker Toys where Goodrich comes close to being a little too cute, but her appealing vocals always save the day. Most of the songs on this collection of what Goodrich’s press release accurately describes as “vaudeville-inspired indie pop” deal with mismatched romantic entanglements. On the melodic “Easier Said Than Done,” Goodrich assures a skittish lover that her affection “doesn’t mean you’re mine, and it doesn’t mean anything,” but later admits “I want to be the only one.” “Na Na Na” and “G-Dino” are unashamedly silly, but Goodrich also offers the simple beauty of “Let Me Go” and the romantic fantasy “Popsicles.” “Fire” is a slinky and sensual love song, while the irresistible “Light Bulb,” with its oddball instrumentation and cheery back-up vocals, calls to mind a musical from the 1920’s.